The week after Christmas isn’t just a time for cruising the post-holiday sales. For some, it’s when the realization of all that spending over the last month kicks in. After all, Black Friday got its name because in the past, it was the day when retailers first went into the black, thanks to all those shoppers. Perhaps a look at the cost of a poor credit score will also help you mend your ways. Experts estimate that a less-than-sterling credit score can cost you tens of thousands of dollars over the years, since you’ll be paying higher interest rates on everything from mortgages to a Macy’s (M) credit card — if you can even obtain those things. That no-man’s land may be closer than you think. The mortgage market is a case in point. According to Ellie Mae, an electronic network for mortgage origination, the average credit score for people taking out mortgages in November was 729. That’s down from 750 a year earlier, but still high compared to historical averages. 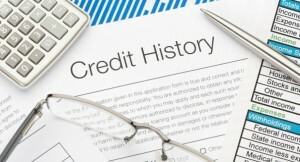 A truly low score can make it impossible for you to obtain credit at any rate. Insurance companies may refuse to issue you policies. And while Sen. Elizabeth Warren, D-Mass., has introduced legislation to make the practice illegal, for now employers can use credit scores to evaluate job applicants. If your report is accurate, and you don’t like what it says, a few simple steps can make a big difference. First and foremost, “pay all your bills on time, every single time,” Griffin said. He estimates that your bill-paying behavior accounts for 30 to 40 percent of your credit score. Business as usual or a new way forward?